Northern Print Distribution specialises in using leaflets to boost your business. We recognise the potential of effective leaflet marketing, and our professional leaflet planning and distribution services are designed to tailor those strengths to your brand. We work with clients of all sizes from all backgrounds. Starting from scratch? We love being involved in every step to ensure every element of your marketing campaign is as strong and smooth as possible. We use precise customer targeting to identify the best distribution system for you. Our outlets are high footfall destinations that will get the best exposure to your market. 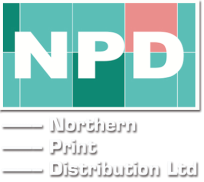 ​Northern Print Distribution pride ourselves on accountability. We guarantee that your print material will be kept secure, delivered on time and displayed professionally.